Casetta Mozart is the "Owners' Suite" with a separate bedroom with king-size bed and premier leather tempurpedic queen sized sofa sleeper with luxury linens. Spacious modern spa tub with rainfall shower. Fully equipped kitchen, dining seating for 4, off-street parking spot, WIFI, and keyless entry. Including a complete library of books on opera, this unit reflects the owners' passion for opera history. Casetta Mozart can accommodate up to 4 people in luxurious style. Including WIFI, cable TV, and 'kiva' fireplace including firewood during winter months. My husband and I absolutely loved this property. Everything you could need is provided. The unit is beautifully decorated and is very quiet. You are close to the Plaza and the Railyard District. We will definitely stay here again! My wife and I just returned from a six-night stay at Casa Pena Serena in the Casetta Mozart unit, and thoroughly enjoyed the visit. CPS is relatively close to downtown Santa Fe and also close to the Railyard area, so both can be reached by walking. The Mozart unit was impeccable inside, thoroughly equipped for our stay, and we felt totally comfortable there and when using the beautiful courtyard area outside. Also, having a designated parking space was great. The owner and manager were very responsive to a couple of minor requests we had which we really appreciated - couldn't have been better. 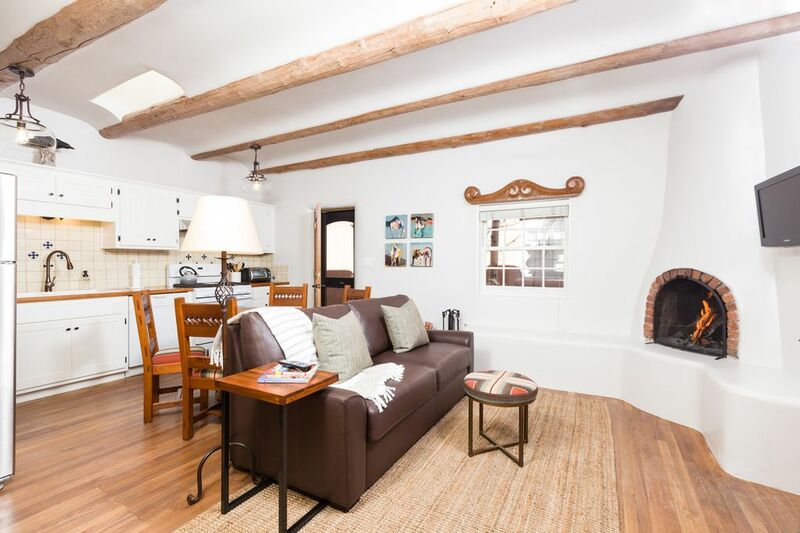 We'd definitely recommend Casa Pena Serena (there are three units there in all) for a Santa Fe visit, and would not hesitate to come back again next time we travel to SF - which we loved as well (had been over 20 years since our last trip there). Thank you so much for your kind review. We enjoyed hosting your return to Santa Fe, and hope you’ll stay with us again soon!